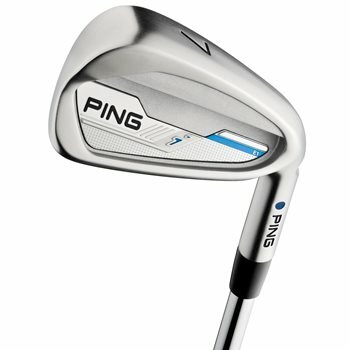 The PING i Series E1 iron set is designed using 431 stainless steel, which offers high strength to weight ratio and a softer feel. The head design of the i irons deliver workability and trajectory control with just the right amount of forgiveness. The lengths and lofts are optimized to increase distance with proper gapping which results in a players style iron with a high MOI and a clean look. Review by Dave C, 10 months ago. Can I trade for these irons? If you are looking to complete a trade-in, please visit our trade-in center here: https://www.3balls.com/trade-in/. Please complete the process for what you are sending in for trade and then you can make your purchase on the site at the end of the trade-in process. Can Nippon modus 3 125 stiff shafts be used instead of the 105 or cfs ? What type of grips are on this set?